I walk to my favorite spot to hide the Easter eggs for my grandchildren, a few one-year-old chickens walk around there. SKCC's 'Rag Chew' Newsletter Issue of March 2018 Has Been Posted! Please take some time to check it out. TOUR OF USS PAMPANITO (SS-383) in semi 3D? a must to see this. World War II Submarine Technology. Amateur radio is a contact sport. Get on the air and make a contact! If you want REAL QRP check out the specs on the Voyager spacecraft. It has a 3.7 meter diameter high-gain antenna. “Voyager 1 was so far from Earth in 1998 that it took 9 hours 36 minutes for a radio signal traveling at the speed of light to reach Earth. so that means 5.748EE –10 watts per kilometer approximately (the distance is increasing by kilometers per second so it changes quickly). THAT is QRP even with a 3.7 meter dish. That is what QRP can do – of course it does use digital modes. Well, I qualify as being retired, even though I still work. I was tired before and I'm tired again, so that makes me retired. Sorry the thread was stolen from Kate. But you have to insert the spaces yourself or have a program that does it for you. This is all I had when I sent my first one (not so long ago). If you are lucky & you say in your check-in that it's your first, they'll take your traffic on the net freq & won't send you QNY. It doesn't contain the message format, but that is readily available on the ARRL web site. But it will probably cost more for shipping that the key itself! I know He's not using a straight key but check out this 9 year old YU kid's CW skills. He's so relaxed about it, like He'd been doing CW forever. If they all turn out like that kid, I believe it. And more nice Morse code related movies also a Lego Iambic. 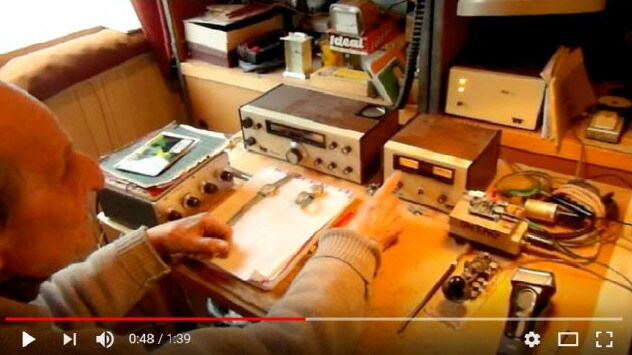 last year (2009) I wrote a book "Lo Zen e l'Arte della Radiotelegrafia", it is now translated in English, there is also a mention to SSN in the sideswiper pages. 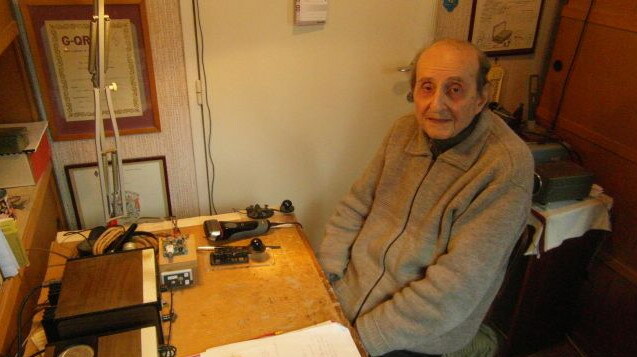 This book is the result of several years of experience in amateur radiotelegraphy. if you like it, just send me a QSL card via Buro. If you like my work, please share this note with your friends ! PEAKING 30 OVER S9 IN TEXAS. Screaming text, is it so bad? Could it be this ? Note that last entry says this was active at 13:52 UTC this morning on 10.105 Mhz .. so this is likely what you are hearing as well. Probably the relatively new Chinese over the horizon radar they are developing. Here to see, enjoy the whole "ritual"
I had the luck to work Franc ON5AG several times and received a few QSL-Cards from him. Wish him a very good time with a good health. The Tamitha Skov forecast for March 29. "A new active region rotates into Earth-view this week upping the solar flux and giving amateur radio and emergency communicators something to cheer about over this spring break holiday." "... may bump radio propagation back up from 'poor' to 'marginal'... "
Conditions already seem a little better than last week. 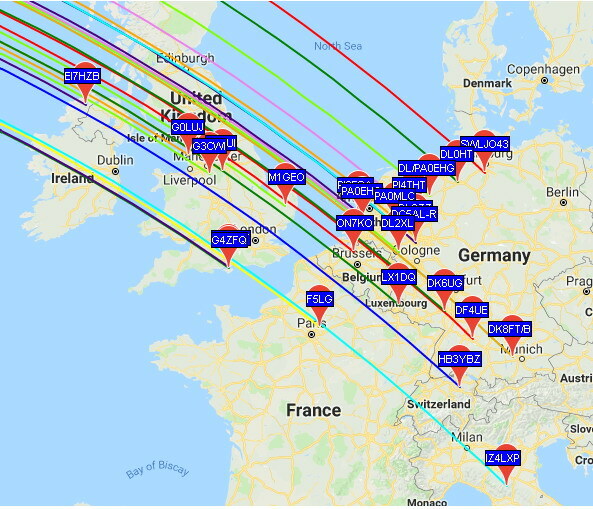 Here are my WSPR reports from Europe to Arizona on 20m at 2200 UTC this afternoon, on my 2-watt WSPR tx. This is better than it's been recently. For the time being, Dr. Pazo Panib is still my friend ?